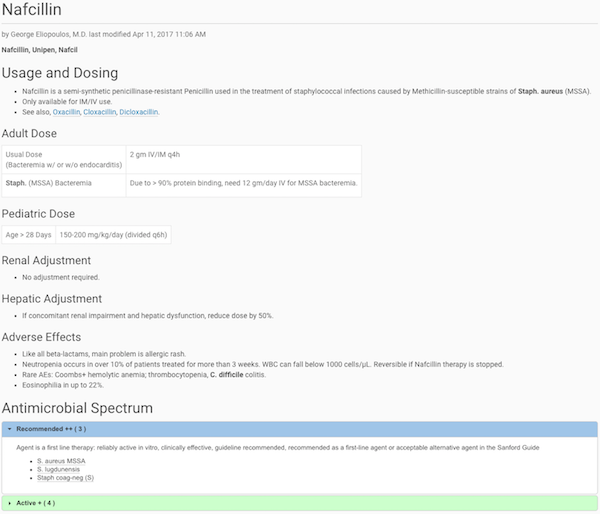 Customizable Antimicrobial Stewardship Apps - Share your guidelines today! Stewardship Assist provides facilities with customizable mobile apps for antimicrobial stewardship guidelines. 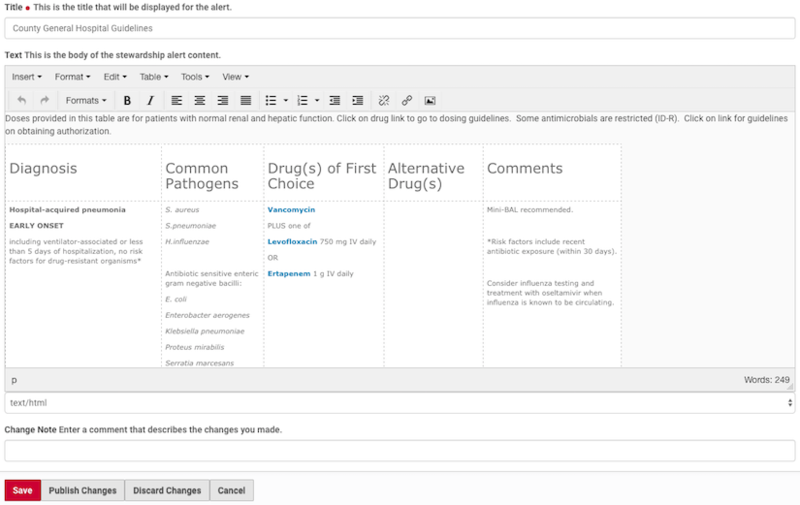 With our user-friendly platform, you can share your antibiograms and guidelines throughout your organization, accompanied by trusted Sanford Guide clinical content. Why invest time and money developing, maintaining, and supporting your antimicrobial stewardship app when Sanford Guide can do the heavy lifting for you? Display institutional susceptibility/resistance data in a user-friendly antibiogram similar to the Sanford Guide Spectra of Activity. Add localized stewardship recommendations for each organism/antibiotic interaction on the Spectra of Activity. 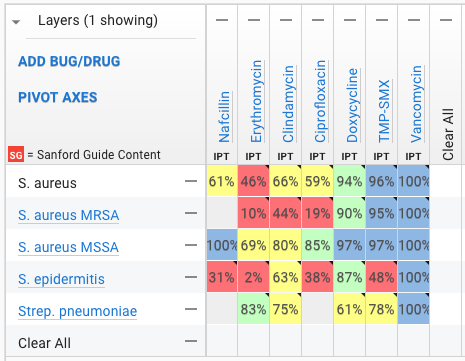 Develop separate antibiograms for different wards and facilities. Display institution-specific stewardship recommendations at the top of Sanford Guide content pages. Disseminate stewardship recommendations through web and mobile app platforms without the need for in-house development or IT support. Make it possible for facilities of any size to develop their own customizable antimicrobial stewardship app. Reduce costs associated with medical error, inappropriate prescribing, and the need for pharmacy follow-up on targeted cases. content on mobile apps or on the web. to add local guidelines with ease. The Sanford Guide's Activity Spectra layout. Sanford Guide data for trusted recommendations. any web browser or mobile device. 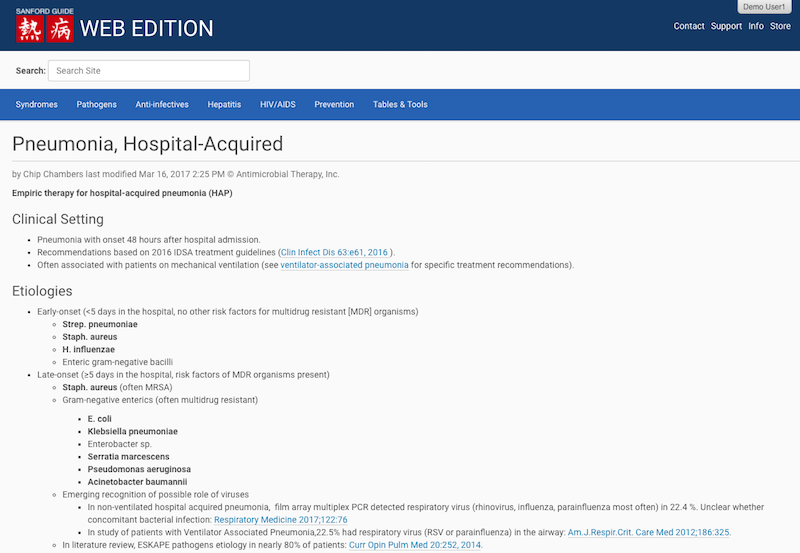 Access to the full suite of Sanford Guide infectious disease content from any computer on your network. Offline access for all clinicians via the Sanford Guide Collection mobile app for iPhone, iPad, and Android. Regular content updates so your team will always have access to the latest recommendations. The ability to add your own custom content to any Sanford Guide topic page. Customization that requires no technical expertise beyond what is needed to write an e-mail or edit a document. Unlimited technical support for your end users, 365 days a year. * Speak to our sales team if you would like additional antibiograms, Stewardship Recommendations layers, or setup time from our team. 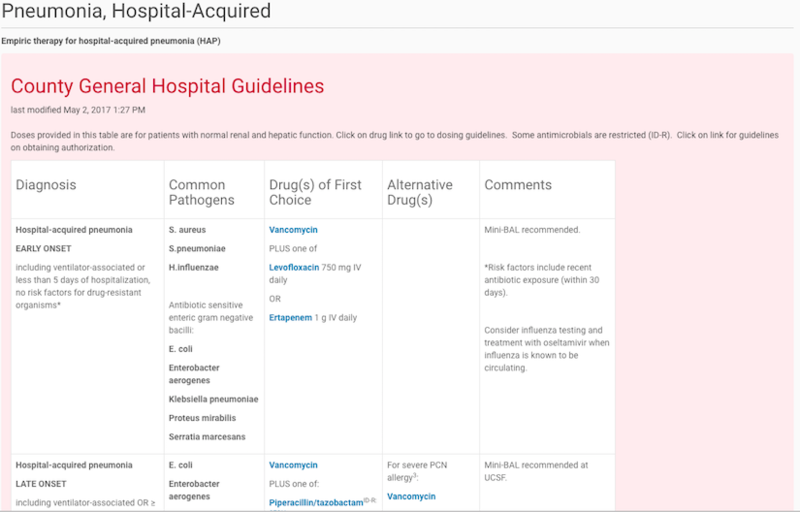 IDSA/SHEA Guidelines for the implementation of Antibiotic Stewardship Programs (ASPs) recommend the development and use of facility-specific practice guidelines to improve appropriate use of antibiotics (Clin Infect Dis. (2016) 62 (10):e51-e77.). 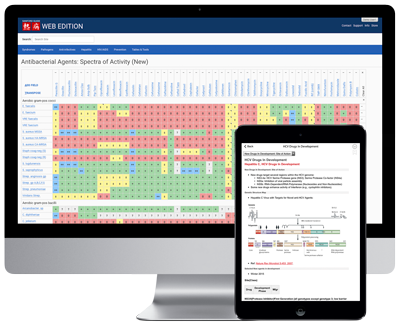 Sanford Guide with Stewardship Assist™ is designed to assist ASPs in targeting syndromes and antimicrobial agents of special importance by allowing the integration of institution-specific guidelines at the top of each Sanford Guide topic page. 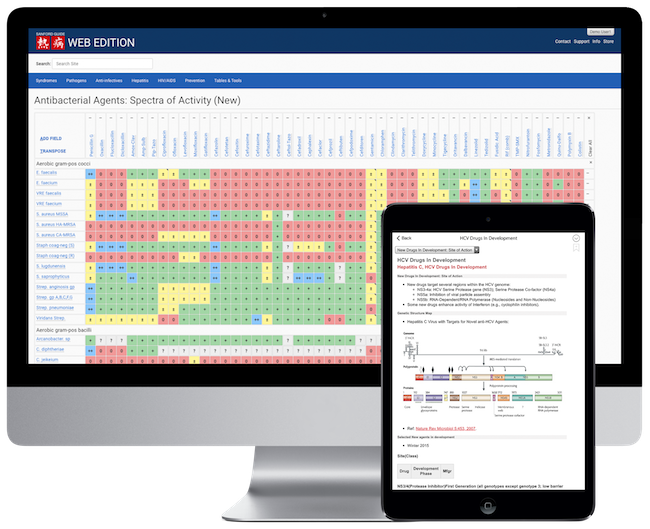 Our user-friendly interface means guidelines can be updated without delay as susceptibility patterns change, providing prescribers with the most current recommendations available. Presenting clinicians with both a bird's eye view and local picture of antimicrobial resistance concerns, Sanford Guide with Stewardship Assist™ provides vital support to ASPs looking to disseminate critical information to prescribers at the point of care.